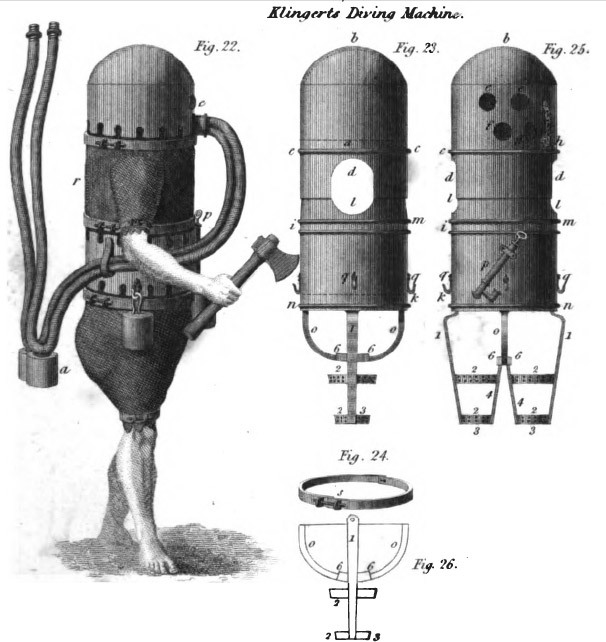 In 1797, Karl Heinrich Klingert from Wrocław, Poland, designed a machine that would allow humans to venture underwater. It was composed of a copper helmet connected with a leather shirt to a large metal belt from which were attached the legs also made of leather. The helmet had two hoses as it needed to be supplied from an external reservoir. Klingert ran the first series of test in the next year, F. W. Joachim, his assistant, successfully complete several dives.